They’ve been manufacturing kayaks since 1985, and it doesn’t look like Wilderness Systems are letting down their game plan of producing amazing kayaks, as can clearly be seen with the Ride 115 Fishing Kayak. In this post, we’ll be showing you our Wilderness Systems Ride 115 review, highlighting why and how this kayak has been created with performance in mind, backed by solid manufacturing quality! The Ride 115 is a fishing kayak that comes available in an 115 and 135 models, but the 115 is more of a short-distance paddling option and is more maneuverable, making it perfect for shallow lakes and flat water conditions. 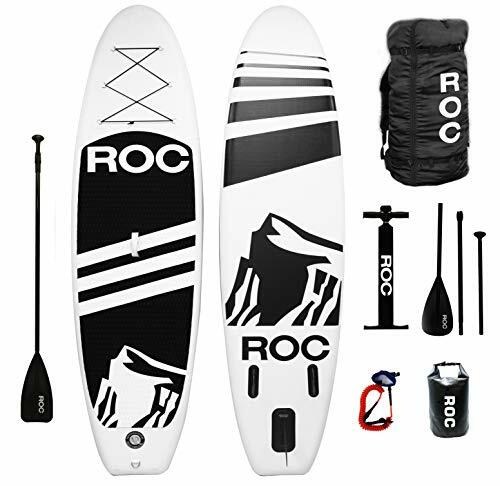 The 135 is the longer model, which has a more slim line body and is more suitable for longer paddling applications, albeit it does take away some stability which is found on the 115. The reason why we prefer the 115 over the 135 is that it offers you enough stability to fish, standing up in the kayak. It also has a big load capacity and a comfy seat, which can be adjusted to get the perfect comfort fit. The kayak’s short length makes it very maneuverable, easy to transport, and effortless to store away when not in use. Addling anglers that are looking for a kayak that’s short enough to store in the corner of their garages, and load on the back of their trucks for easy transport, yet still need enough stability for those stand-up fishing applications will probably love this kayak. The Ride 115 has a hull that’s shaped in the perfect way to offer optimal stability, plus it also has a keel in the center. This means that the kayak is great at tracking. To enhance the Ride 115’s tracking, the kayak also has a sliding seat, which allows the paddler to shift his or her weight around to either the front or the back of the kayak. The shift of weight in the boat doesn’t only help increase tracking performance; it also effortlessly allows you to create more onboard room for standing up while fishing. We won’t lie: the Wilderness Systems Ride 115 is not the fastest kayak on the market but then again, that’s definitely not what it was designed for. A spot’s car isn’t ideal for transporting groceries, the wife, the kids, and the dogs, so let’s just leave it at that. The Ride 115 is a fishing kayak, and it excels in providing anglers with great comfort during their paddling adventures. As you may have concluded from what we’ve already mentioned, the Ride 115 is a very stable kayak. For its size, weight, and price, this is about as stable as things get in the kayak market. Again, the Ride 115 kayak’s sliding seat comes in very handy, allowing you to shift your weight around in the yack so that you can get it up to the point where it maneuvers exactly the way you want and need it to. If you’re keen on the idea, you can always purchase the aftermarket Wilderness Systems Rudder, which will give you, even more, maneuverability and better tracking. For its size, the Ride 115 has insane weight capacity, coming in at a total of 500 pounds. This is pretty much as good as it gets as far as weight capacity is concerned for kayaks fewer than 12 feet in length. The Ride 115 was designed to be a superior fishing kayak, and if there’s one thing it really excels in, it is fishing, not even mentioning its ability to allow for a superior standing up fishing experience. For its size, the Ride 115 has more than enough onboard storage space, enough to allow anglers to bring a few days’ worth of supplies with them. The center console is big enough to allow for storage of your smaller items such as drinks, lures, sinkers, and hooks. Then there’s also the fact that the center hatch was designed to specifically allow anglers to put their rods in a secure spot. Furthermore, anglers can store things like dry bags and crates behind the seat, and in front of the seat, there’s a roomy oval hatch which provides you with even more storage space. Are There Any Alternatives to the Wilderness Systems Ride 115? The four alternatives we listed above all come in at more or less the same price range as the Wilderness Systems Ride 115, but they do not offer the same comfort or stability features that the Ride 115 boasts. 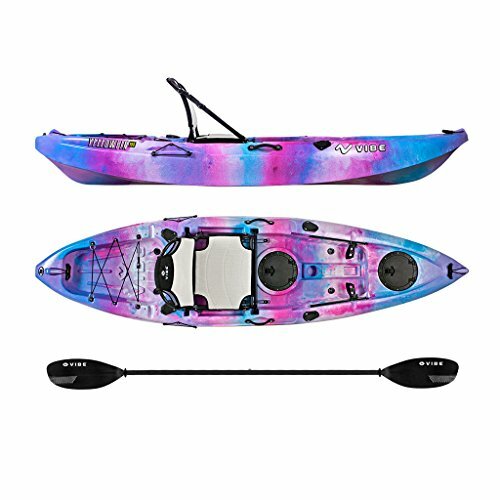 We really love the Wilderness Systems Ride 115 fishing kayak, and we have to say that it’s an all-around attractive package for anglers looking for a kayak that’s easy to transport and stable to use out of the flat fishing waters. We hope that this review has helped you better understand what the Ride 115 is all about, and what it is capable of doing for you in terms of providing you with the best possible way to fish, standing up, from your kayak!